To be greeted by a bass line as sweet as this, how could you not want to hear what the rest of this track has to offer?..and what an offering it is with its ever-so-cheery, upbeat melody and wonderfully contrasting, more sombre vocal hook that exclaiming, “O’well’a when I die I hope it’s six foot down, and they cover me over with heavy ground”. 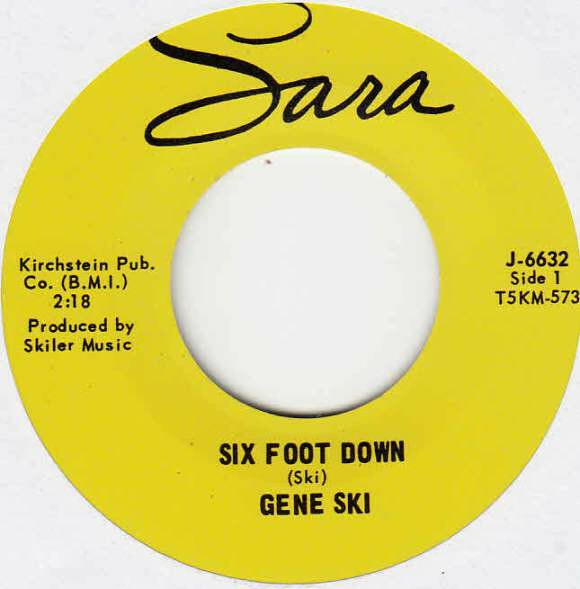 Today’s little rock’n’roll/rockabilly treat was recorded by Gene Ski & The Troubadours in 1966 and written by Ski himself who originally put this little 45 out on the US label, Sara. Chicago’s Numero group have just featured Gene Ski’s Six Foot Down in a brand new compilation entitled Driftless Dreamers In Cuca Country, Vol. 1. The collection consists of 16 tracks, generating an interesting mix of country, rock’n’roll, folk-roots and rockabilly. So if you find yourself partial to any of the above, this worth checking out. Listen above and find the rest of the album here. This entry was posted in Country, Folk, Folk roots, Numero Group, rock n roll, Rockabilly and tagged Country, Folk, Folk roots, Numero Group, rock'n'roll, Rockabilly. Bookmark the permalink.